Well this is promising. Since they started using Will Young's song "Leave Right Now" as the contestant exit song on American Idol, I guess U.S. interest has been peaked. I don't think this is a bad thing in the slightest...in fact...it's about time! Our American Idols are promoted overseas! How come UK winners aren't? Well...I suppose that's all different now...Leona Lewis has done alright for herself stateside, and Alexandra Burke is supposedly going to be introduced to U.S. audiences at some point (although who knows when) but Will Young was the original Pop Idol in the UK, so what's the delay? I guess his genre of music, straight up pop, isn't such a big deal here in the States, with radio favoring urban-tinged pop music over traditional pop. Nonetheless, I'm excited that the label is giving America the chance to check him out. Leave Right Now is an 8-track compilation of Will's hits from his last 3 studio albums (music from his debut, From Now On, was ignored) and will be released via Jive/19 Recordings on CD May 25th. I noticed the album on iTunes back on May 4th (when it came out digitally, preceded by the single's digital release on March 31st) and thought that was it...that it would just be a digital release to satisfy American Idol viewers who wanted to hear more from the singer (his first 3 albums are already available to download on iTunes here). Now that it's getting a physical U.S. release, I wonder what that means for Will Young's future in the U.S.? Hopefully something. I'm still loving his Groove Armada collaboration and hope it sees the light of day (as a single) and there's been nothing new recently on rumors of his forthcoming dance album. Whatever Young's deal is, I'm glad that 19 Recordings is shining the spotlight on him here in America. I'll say it again...it's about time! 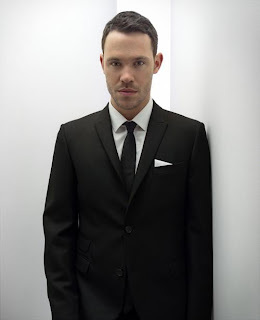 Check out Will Young performing "Leave Right Now" on the May 25th finale of American Idol. Check out the video for "Leave Right Now," which is also available to download on Will's U.S. iTunes store. 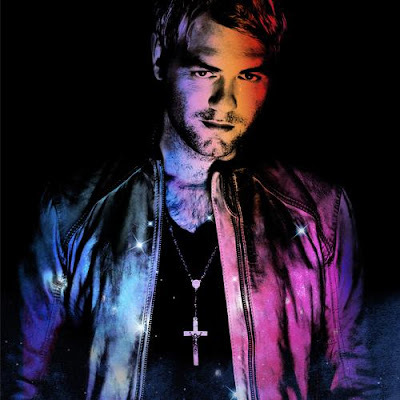 Irish pop singer Brian McFadden (and former member of Westlife) has his sites set on America. 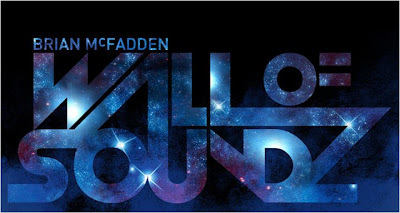 McFadden has abandoned his boy band ballad sound and gone full on electro-pop with his new album Wall Of Soundz and I'm surprisingly on board with this transformation (if only his fiancee Delta Goodrem would do the same!). The album was released in Australia back in April where it peaked at #27. 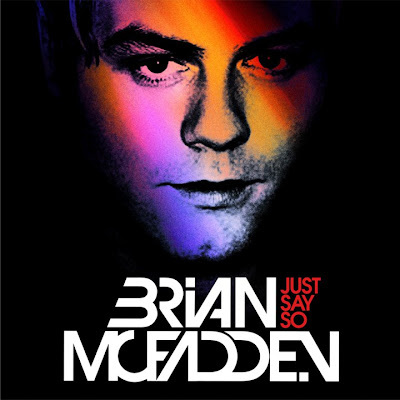 First single "Just Say So" (check out the video HERE) features guest vocals from American artist Kevin Rudolph, and peaked at the top of the ARIA charts when it was released in early April, remaining at the top for 3 weeks! McFadden hopes for a similar story when second single called "Chemical Rush" is released next month. According to Digital Spy, McFadden will be relocating to the U.S. (where Goodrem is currently working on her fourth album) after his stint as a judge for Australia's Got Talent is over. The plan is to release Wall Of Soundz in the U.S. through Universal Records. According to McFadden in an interview with The Daily Telegraph, "It will be my first time ever to release a record in America as a solo artist," he says. "It's very hard over there but this is my last chance. I'm going to relocate there to get this business going." From what I've heard, Wall Of Soundz is a pretty solid electro-pop album. Nothing too groundbreaking, but now is the time to do this sound. Taio Cruz has the same kind of sound going right now, so maybe McFadden will fare well if he throws someone like Ludacris on a track...although I suppose a Kevin Rudolph-assisted track will suffice. We'll have to see how this pans out. I know I'll be looking out for him. 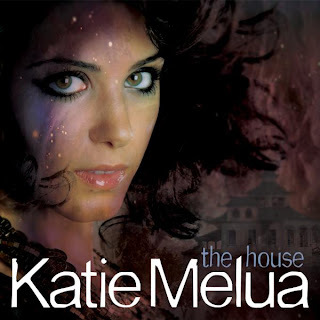 I'm thrilled that the blogosphere is as crazy about the new Katie Melua material as I am. Thanks to The Prophet Blog for posting this new insightful interview with Melua and William Orbit on the BBC Breakfast morning show. In the interview, Orbit explains what brought the two together and surprisingly, Melua sought him out and he was intrigued. According to Orbit, Melua sent him 5 tracks and he was "captivated from the very first listen." When talking about the new album's "darker sound" Melua and Orbit discuss dark movies like Eraserhead and Ichi the Killer as partial influences, which is interesting to me. I don't honestly know if her new material (what I have heard of it anyway) is any darker than her past material, is it? I feel like Melua has always had this haunting quality to her vocals that darken her songs. Melua explains that she's always leaned towards the dramatic lyrics, and that this new album is no exception. In talking about the recording process, the two described the whole experience as "organic" and "traditional," with the duo recording together in a studio, with a full band. Also worth noting, Orbit didn't play on the album, leaving it to the band. The collaboration and respect these two musicians have for one another really comes across in this interview. I can't wait for The House! The House, features songwriting by Melua, with help from the likes of Guy Chambers, Rick Knowles and (my personal fave) Polly Scattergood. The album will be released in the UK next Monday, May 24th and in the U.S. on August 3rd. First single, "The Flood" is out now. Digital Spy reported yesterday that former S Club 7 star and solo artist Rachel Stevens has plans to start recording again. Well this is good news! In my CD collection I have Funky Dory (both versions) and her last album, 2005's Come and Get It. I was disappointed to learn how her last album fared in the charts. When all is said and done, however, Stevens had a lot of chart success in her native UK with "Sweet Dreams my LA Ex" and "Some Girls" both peaking at #2. According to Stevens in an interview with New, "There are plans for an album but it's in the early stages," she says. "There are so many great artists and most of them are women, but that's good - the more the merrier!" That's a good attitude. Would you check out the new Rachel Stevens? A sneak peak of the video for the Professor Green/Lily Allen collaboration, "Just Be Good To Green" has been released and it looks...interesting. Lily Allen looks (and sounds) fantastic. I'm really hoping that Lily doesn't completely abandon her music career. Both albums have been amazing (in my humble opinion) and have sold reasonably well (Alright, Still - 3X Platinum in the UK/It's Not Me, It's You - 3 X Platinum in the UK), especially internationally. Don't throw in the towel Lily! Keep recording! "Just Be Good To Green" will be released July 11th in the UK and is based on an 80s song by The SOS Band called "Just Be Good To Me," re-imagined in 1990 by Beats International in the form of "Dub Be Good To Me." Professor Green's album will be released on July 12th.